In my post on habits a couple of weeks ago, I discussed my attempt to workout every morning rather than later in the day. So far, I’ve had sporadic success but overall am pleased with the results. Let’s just say, I’m easing into it. 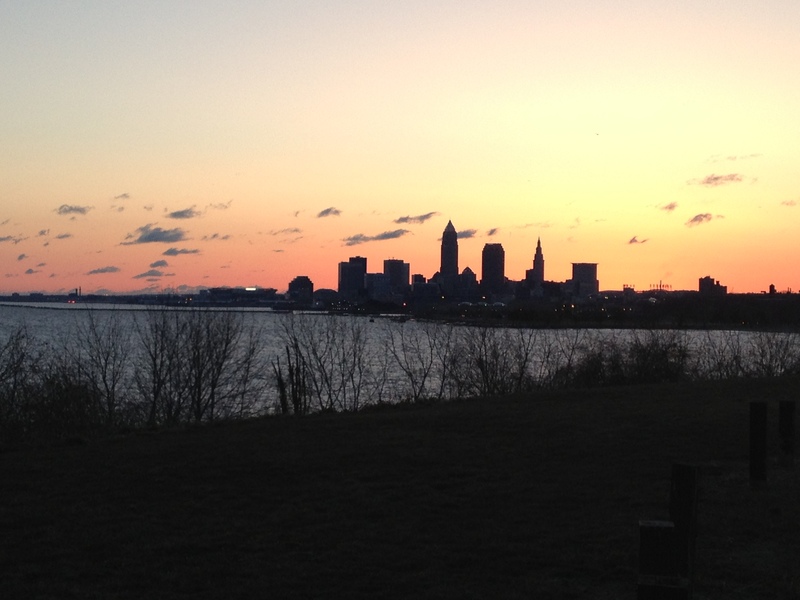 The stunning sunrise over the Cleveland skyline was enough of a reward for waking up and fitting in an early run. For a brief moment, the view took my breath away. Suddenly, I stood there, sharing an earth shattering yet peaceful moment with the world in its most beautiful state. More surprisingly though, that single moment reset any negative thoughts, stress or uncertainty in my mind to “zero.” What started out as an intention to squeeze in a workout turned into a tranquil meditation of my mind, body and soul; a powerful and unexpected experience as you might imagine. 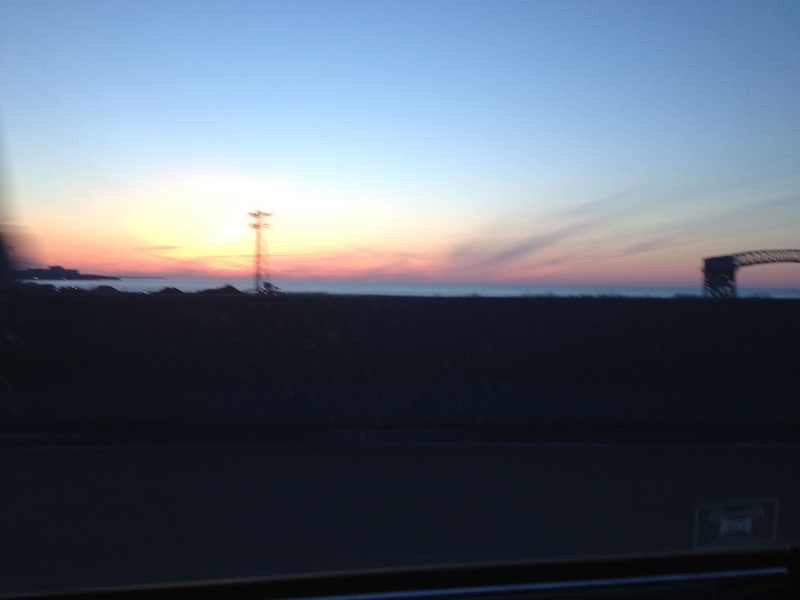 After a long day of work and a volunteer meeting this evening, the sunset over the lake greeted me on my drive home. What a fitting way to end today. Take a look around. You never know where you might find peace.